Join us for an informative session surrounding the topic of collaboration and the use of human biological samples. Hear from experts in biobanking, governing bodies and commercial entities on topics that will include sustainability of human biological samples, issues and regulations facing researchers and organizations and thoughts on the future state of scientific advancements. Why is it important to bring together diverse communities regarding human biological samples? What are the major issues facing biobanks in terms of sustainability and the facilitation of access to human biological samples? How are research organizations addressing some of the common issues facing researchers globally surrounding visibility and regulation of human biological samples? What sort of benefits will we see in terms of scientific advancements if industry, governing bodies and commercial entities can more closely collaborate? Dr. Jackson manages a programme of work at the NC3Rs examining the potential to replace, refine or reduce animals used to model disease, measure efficacy and examine the safety of new drugs. This includes the application of new technology and human tissue/cells to replace animal models, to improve predictivity to humans and benefit disease research and drug development. Dr. Jackson has recently organised several workshops and surveys to explore how human tissue is used in cancer research and safety pharmacology and identify the barriers to increased use of this resource. Prior to joining the NC3Rs, Dr. Jackson gained 10 years’ experience of research through postdoctoral posts in neurobiology in both academic and industry settings. Matt has worked in the pharmaceutical industry for 16 years. For 15 years, he worked within AstraZeneca (AZ), spending 12 years as a senior scientist working in R&D Genetics and Personalised Healthcare & Biomarkers. He then moved to Procurement to become the Global Category Manager for human biological samples. Currently, Matt is responsible for all compliance related activities to support suppliers and clients utilising the Scientist.com platform. At Scientist.com, Matt headed a cross industry team in the development of a human biospecimen acquisition platform (COMPLI™) that helps researchers quickly acquire the human samples they need for their research projects while ensuring that all biospecimens are treated in an ethically compliant way that respects the wishes of the sample donor. Dr. Sonja Grosskinsky joined Lonza in 2015 and currently holds the position of Project Manager for Bioscience Research products. In this role, she manages all European CellBio Services projects. Lonza’s customized services including primary cell isolations, expansions, cell modifications and more. Sonja is a specialist supporting Lonza’s European customers and processes related to HBS. She addresses customer requests on topics such as ethical and regulatory information on donors, donation permission, and research uses for Lonza’s human cells, as well as providing legally appropriate documents, and managing Lonza’s qualification as a trusted HBS supplier. Throughout her career, Sonja hasgained in-depth expertise in tissue culture and cell biology as well as substantial knowledge about the acquisition and regulation of human biospecimens while working as a Scientific Product Specialist for human primary cells. She has also worked on numerous research projects at the German Cancer Research Center, University of San Diego, and Heidelberg University, where she obtained her PhD. Erik Steinfelder earned his Bachelor of Science degree in Analytical Chemistry from the Saxion University of Applied Sciences in Deventer, Netherlands, and subsequently completed a course in Foundations of Management at Nyenrode Business University in Breukelen, Netherlands. In 2008, he joined Thermo Fisher Scientific, a multinational biotechnology product development company based in the US. In his position as first Biobank Commercial Leader EMEA, he went on to head the complete biobank portfolio and range of activities and, most recently, became Corporate Accounts Executive. Additionally, between 2014 and 2017, he was also President-elect, President and past President of ESBB, the European, Middle Eastern and African Society for Biopreservation and Biobanking. He started his position as Director General of BBMRI-ERIC on the 1st August 2017. 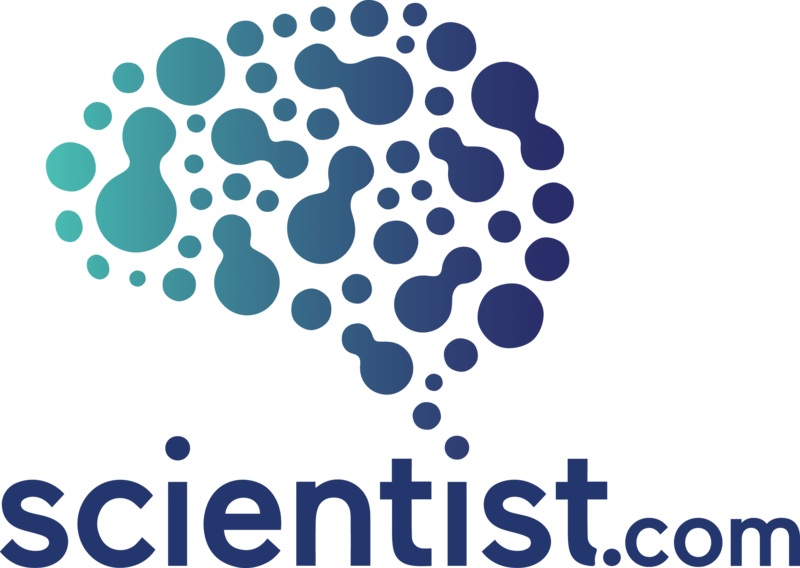 Founded in 2007, Scientist.com is the world’s leading and fastest-growing marketplace for outsourced scientific services and products. The marketplace significantly simplifies research sourcing by saving time and money and providing easy access to innovative tools and technologies – while maintaining full compliance with an organization’s procurement policies. Scientist.com operates private marketplaces for most of the world’s major pharmaceutical companies and the US National Institutes of Health (NIH); other clients include large and small biotechnology companies, academic researchers and citizen scientists. The marketplace features 2,400+ registered suppliers offering more than 3,800 research areas across multiple industries. Visit scientist.com to learn more.